Does your mind go blank on meal ideas every time you start to make a grocery list? 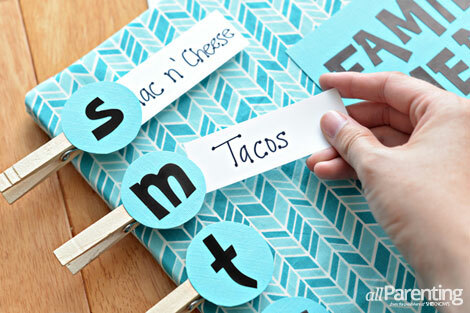 Take the stress out of weekly meal planning with a cute DIY menu board. 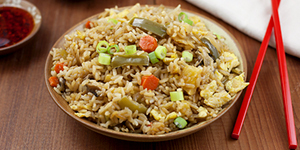 It always seems like everyone in the family has an opinion on what they would like for dinner — except on grocery day! Make your weekly meal planning easy by putting together this cute DIY menu board that will take the guesswork out of "what's for dinner?" 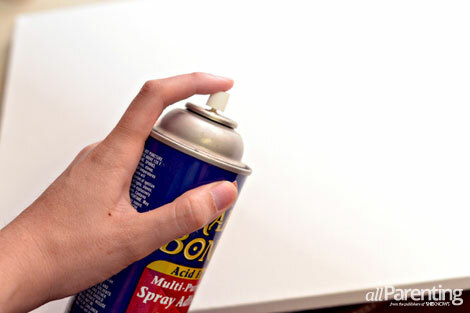 Coat the front and sides of the canvas with spray adhesive. 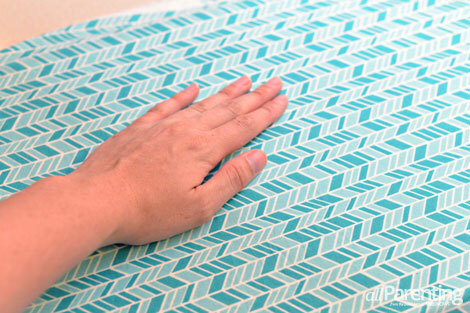 Use a generous amount of adhesive so that the fabric does not separate from the canvas later. Smooth the fabric out over the top of the canvas, making sure there aren't any wrinkles. 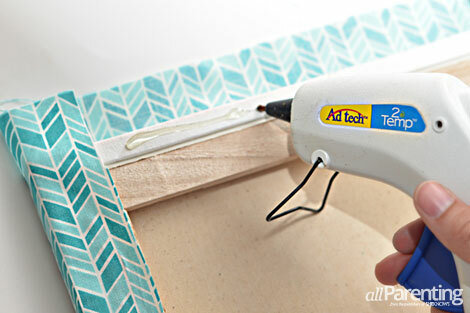 Stretch the fabric over the sides of the canvas, and then use hot glue to secure the edges of the fabric to the back of the frame. 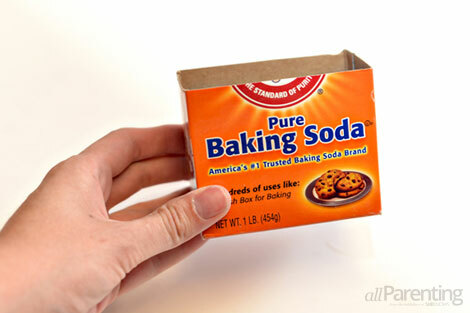 Cut the empty baking soda box in half, and then coat all sides of the box with paint. I opted for spray paint, but any acrylic craft paint will work as well. Once the paint has dried, glue the box to the lower right corner of the canvas. 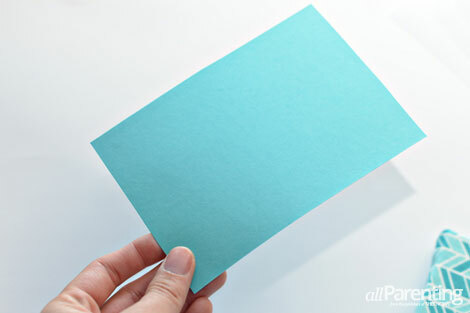 Cut a piece of card stock that is 3 x 5 inches. 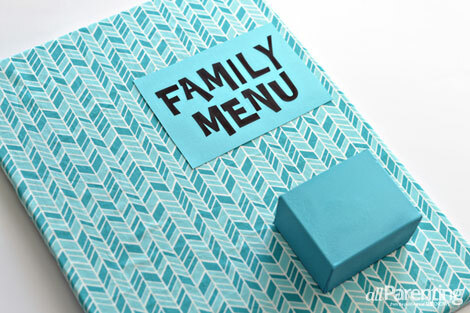 Stick the adhesive letters to the card stock, and then use a small amount of hot glue to glue it to the menu board. 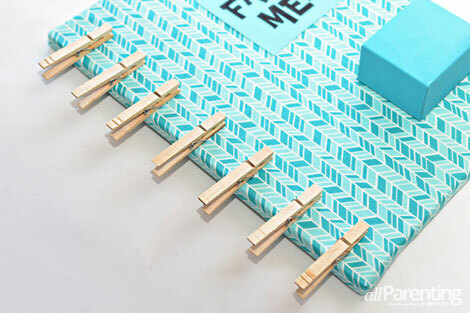 Glue seven clothespins evenly spaced along the left side of the canvas. 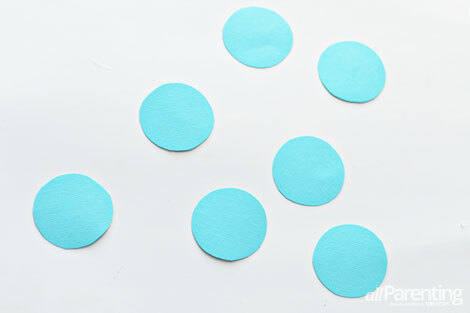 Cut out seven (1-1/2-inch) circles, and then stick the first letter of each day of the week on each one using the adhesive stickers. Glue one circle to each clothespin. Cut out a bunch of strips of paper from white card stock. Have a family brainstorming session where everyone suggests their favorite dinner ideas. 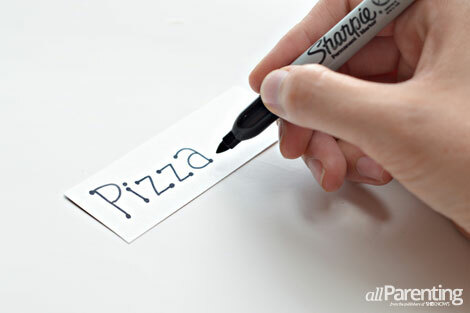 Write the meals down on the strips of card stock. 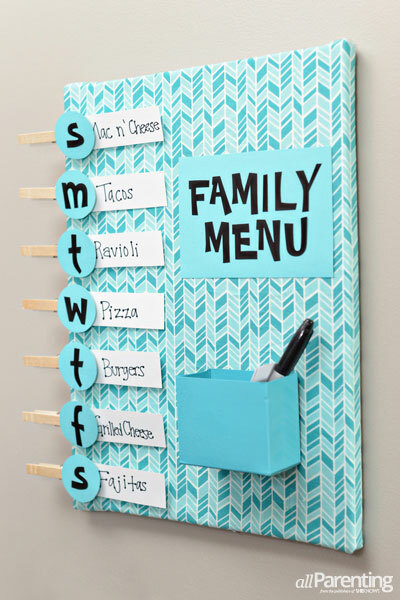 Add the dinner ideas for the upcoming week to the board by clipping them in the clothespins. Store the unused dinner ideas along with a pen and some extra strips for new recipes in the cardboard box. Now the menu board is ready to hang on the wall for easy menu planning! Love this? 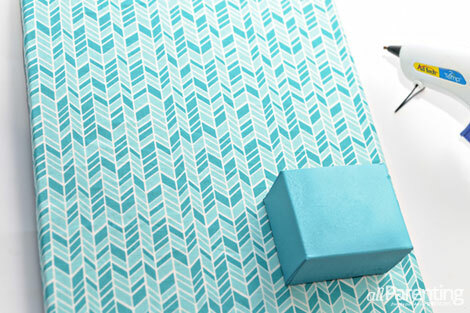 Find more crafts and DIY projects!